Chuck Burrows of Wild Rose Trading Company takes you step by step through making a Hunter and a Mexican Loop sheath. learn expert techniques on stamping and carving. 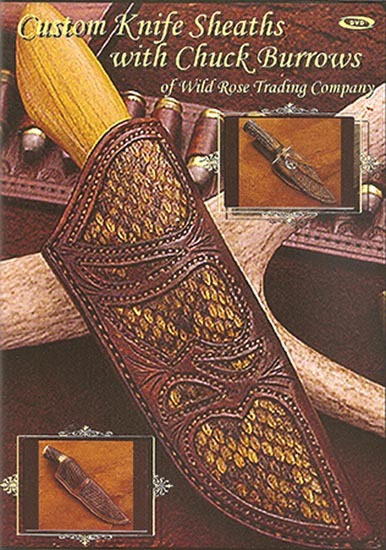 This DVD is packed with information on custom knife sheath making. 3 hours and 55 minutes. Rod - Nickel/Silver 3/16" dia. x 12"